The Lorex 4K UltraHD 8MP IP Nocturnal Camera is a security camera from Lorex that can be mounted on a wall or ceiling. The camera angle can be controlled remotely to adjust the field of view. Remotely adjustable 102 ° field of view. Pros: 4K resolution. 350 ft. night vision. Remote adjustment. Cons: Can only export video files in DAV format. Bottomline: A reasonably priced, high-quality camera system for a variety of indoor/outdoor security uses. What are some Lorex 4K UltraHD 8MP IP Nocturnal Camera alternatives? Where can I buy the Lorex 4K UltraHD 8MP IP Nocturnal Camera? The Lorex 4K UltraHD 8MP IP Nocturnal Camera is available on Amazon, and on the Lorex website. Does the Lorex 4K UltraHD 8MP IP Nocturnal Camera work at night? Yes, the LNB9272 has night vision that can see up to 400 feet in ambient lighting and 350 feet in total darkness. Can the Lorex 4K UltraHD 8MP IP Nocturnal Camera be used in any weather? 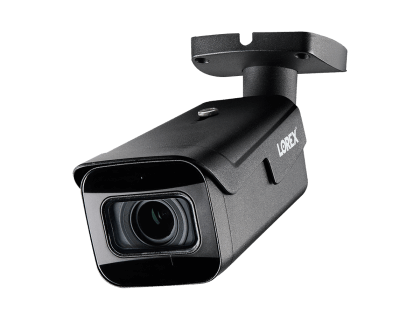 The Lorex 4K UltraHD 8MP IP Nocturnal Camera is built with a weatherproof metal housing for indoor or outdoor use.